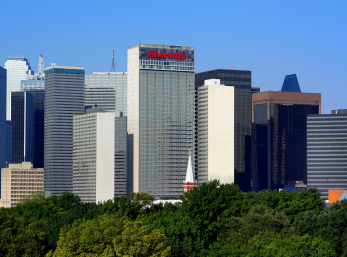 The 2017 Medicare Supplement Insurance Conference & The 2017 Short-Term Care Insurance industry conferences will be held at the Sheraton Hotel, Downtown Dallas. BONUSES ONLY for those booking via the Conference Attendee code (link below). If you have issues booking online, let us know. CALL 818-597-3205. If you would like to book a SUITE, call the Association at 818-597-3205. BOOKING MULTIPLE ROOMS? The online system limits you to two (2) reservations at a time. We recommend booking 2 rooms, then waiting an hour or so before booking athe next rooms. EXHIBITOR SET UP STARTS TUESDAY, APRIL 11 AFTER 7:30 A.M.
Thursday, April 13 - Sessions all day. Breakfast, Luncheon. Conference concludes around 4:45 PM on Thursday - many attendees will remain for networking events organized by sponsors. The Sheraton is approximately 19 miles from Dallas Fort Worth Airport (DFW) and 5 miles from Love Field (DAL). DART - Public transportation option. You can take DART from DFW directly to the hotel. Exit Pearl Arts District station (stop is across the street from the hotel). Fare is $2.50 (one way). Trip is about 1-hour from DFW. At DFW, the DART access is at the American Airlines terminal (1-15). FROM LOVE FIELD - take Bus #524 to DART station (Inwood). Very easy and about 30-minutes time (Total) to Pearl Arts District Station. Save $8.00 off the daily parking rate. Attendees for the 1 day free event, when you request the 1 DAY ACCESS PASS, it will have the coupon you need to save on hotel parking. PRINT OUT THE PASS AND BRING WITH YOU TO THE EVENT. Use EVENT CENTER - SELF PARKING on Olive Street directly across the street from the hotel. Our event will be in the GRAND HALL (Exhibits) & DALLAS BALLROOM (Sessions).